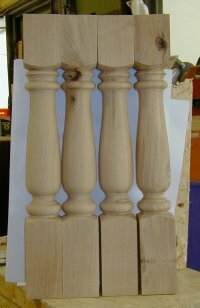 Refectory table legs these can be turned in a style of your choosing, or specifications and in any timber. 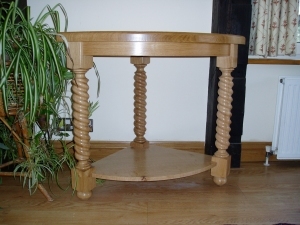 This style of table as the name suggests uses two legs. They tend to be quite chunky 5" (125mm) or larger. 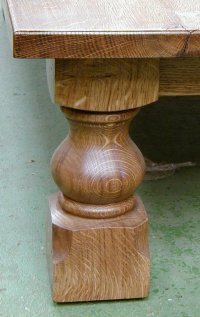 This style of table requires only one , but it does have to be quite large in order to support the top. 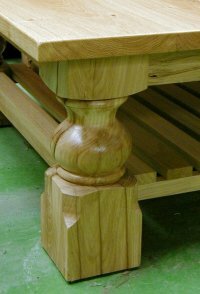 The size of the single pedestal leg, normally 6" (150mm) or larger does allow for a more shapely design to be turned. 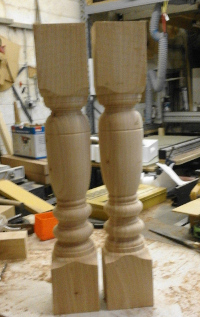 Left: Twist legs on a Three legged Oak corner table. 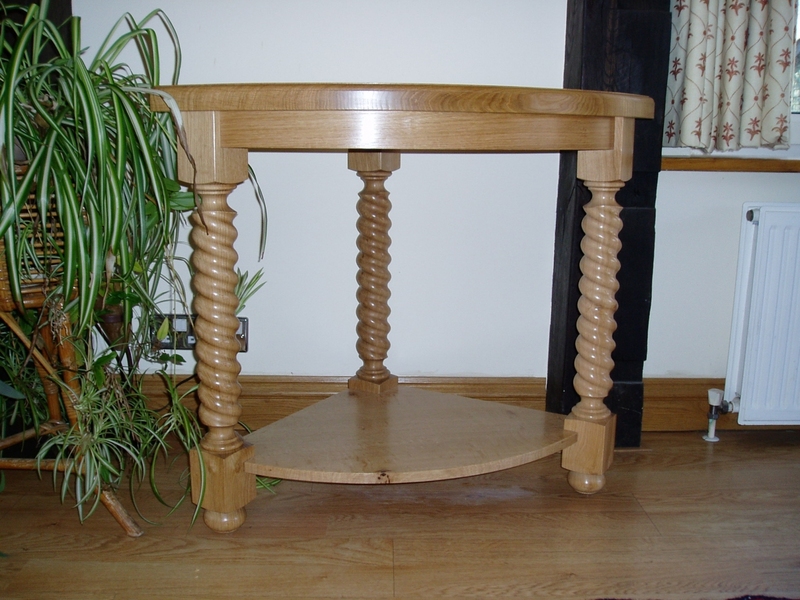 Table Legs can be turned to your specifications, in a timber of your choice. Existing legs can be matched. They can be made to drawings, photos (with measurements) or they can be sent via e-mail in C.A.D. DWG files.